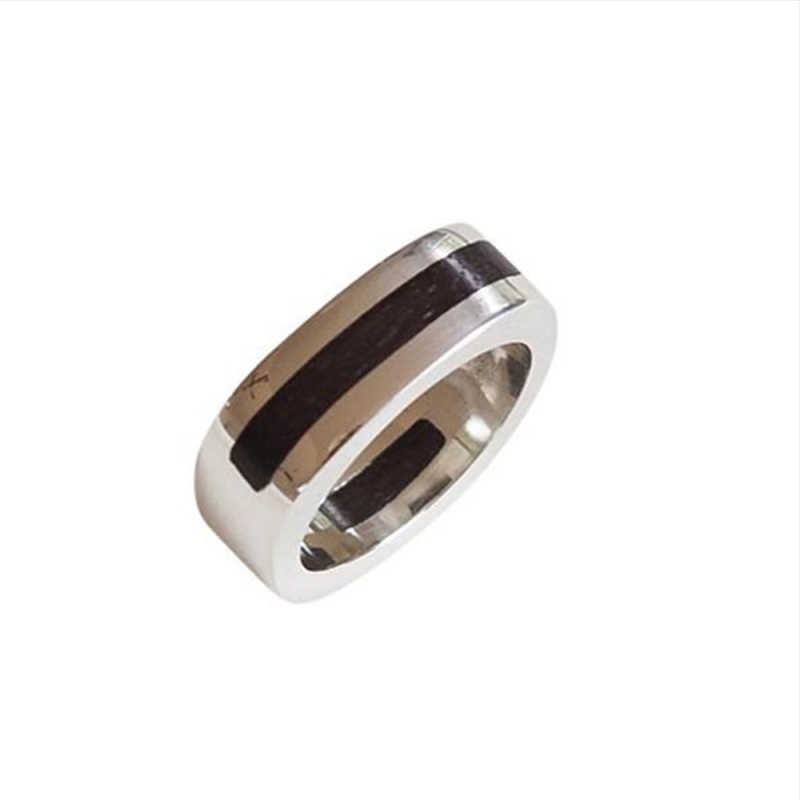 A beautiful contemporary dress ring, crafted from sterling silver (.925) with an inlay of Macassar ebony at the top and bottom of the ring. Available in a number of sizes, including extra large. 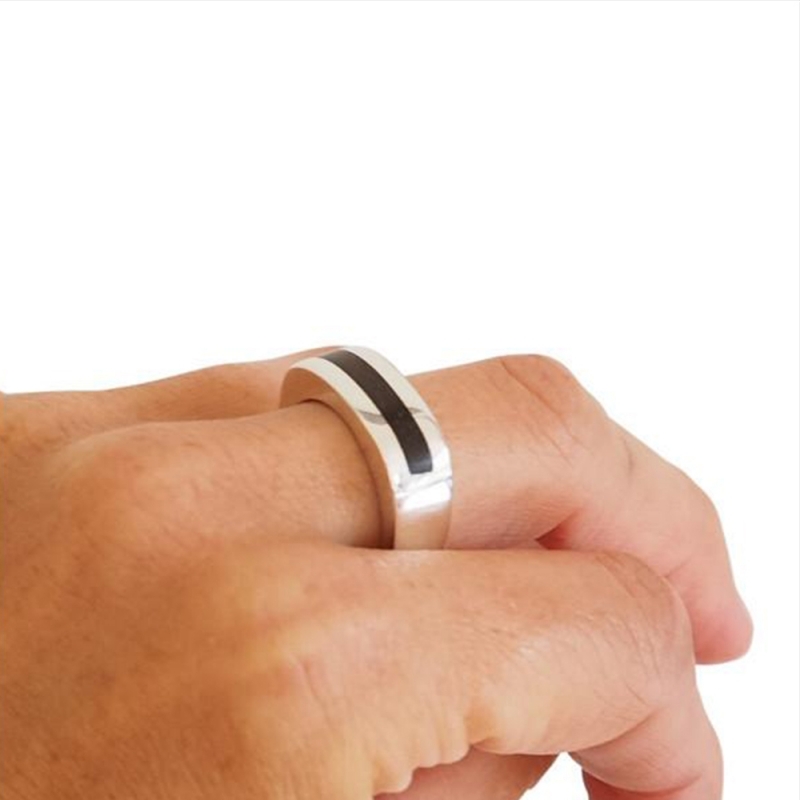 If you would like this ring made in a size not listed, please contact us and we will happily organise this for you. Measurements Top width 12mm, 8mm base. Material(s) Macassar ebony and sterling silver.